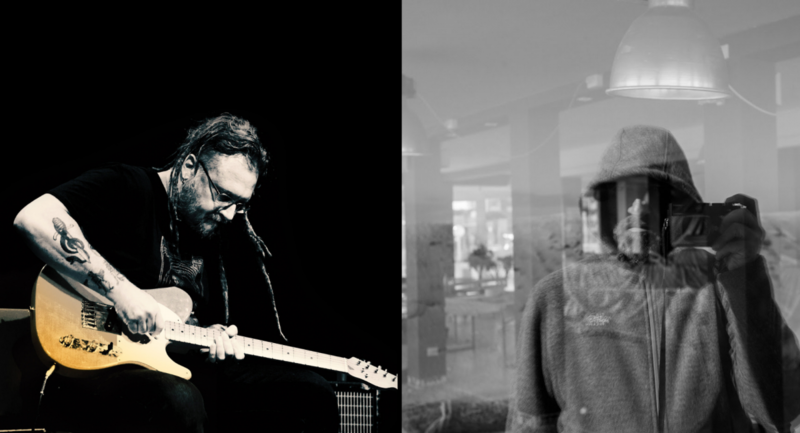 Bronson Recordings is proud to announce the new records from Bruno Dorella, “Concerto per chitarra solitaria”, and Adriano Zanni, “Ricordo quasi tutto”, out 8 March 2019.
a true journey, despite each of them maintains his own personality, in the style and in the type of artistic path undertaken over the years. Concerto per chitarra solitaria (dove un viaggio in acque placide diventa naufragio) and “Ricordo quasi tutto” will be released on 8 March 2019 by Bronson Recordings. Everything gravitates around Ravenna, the city of the two musicians and also of the label that now unites their destinies. Set off from here to launch yourself in discovering the two records, along seas and woods, guistar strings and field recordings. “I have always been told that my way of playing guitar evokes the sea. Not the fire, not the air, not the earth. But the sea. Born also under the sign of Pisces, I can see myself in this description. I’ve always been very attracted by disaster, failure, defeat, the epic of the loser. So shipwreck is an aquatic transposition of this kind of speech”. 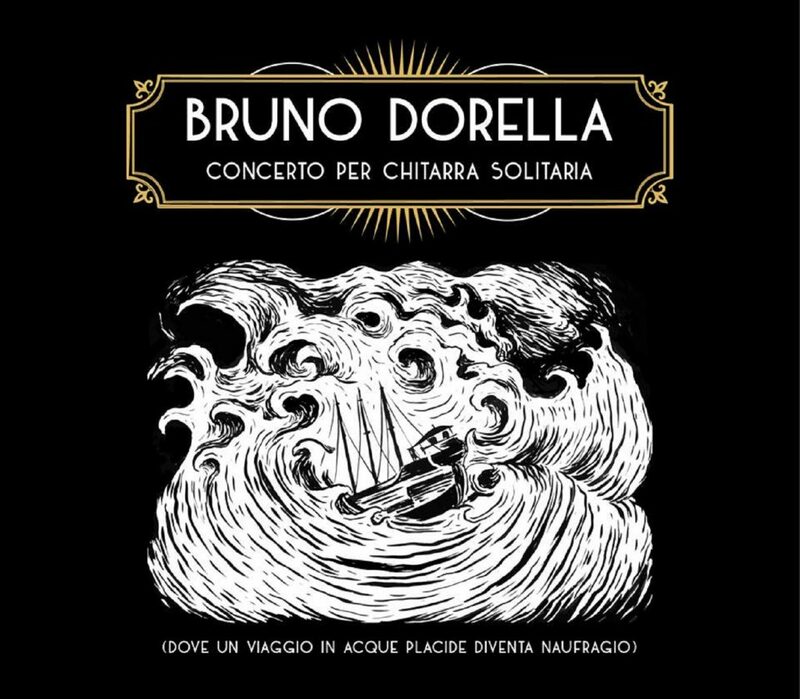 Concerto per chitarra solitaria (dove un viaggio in acque placide diventa naufragio),the first album released by Bruno Dorella under his own name, is the result of a live set commisioned by Ravenna Festival in June 2018. And it’s another bet – won, obviously – in more than twenty years of career, in which Dorella has collected an impressive number of live performances and many experiences, such as musician and producer, from rock to post-rock, from instrumental to experimental music and so on. The story goes from the first steps with Wolfango to the important activity with his main bands, Ronin and OvO (currently at work on their new studio records), until the entry in Bachi da Pietra alongside Giovanni Succi, the direction of the Byzantium Experimental Orchestra, the individual alter ego Jack Cannon (debuting with the eclectic 1:4”/XLR in 2017) and the recent adventures with Tiresia (with Stefano Ghittoni) and GDG Modern Trio (with Ghittoni and Francesco Giampaoli). This is a remarkable story from many points of view, to which is now added the missing piece of Concerto per chitarra solitaria, a record/vessel conducted withouth any pseudonum or safety net, in complete solitude and in a simple take, with the rudder – firmly in the hands – of a single guitar, to be precise a Japanese Fender Telecaster dating back to the 90s: “For years I have considered it the so-called ‘spare guitar’, but in this last period I played it for all my extra-Ronin guitar projects”. Concerto per chitarra solitaria is a unique flow that moves according to the times and resonances of the moment, based on a narrative structure that acts as a canvas to a clever mix of writing and improvisation. So, there is a subdivision into four parts, in an essential, exciting development, from the exploration of the seas to the inescapable shipwreck: Largo, Allegro con crepe, Adagio nel naufragio and A fondo. The maritime imaginary is reflected by the cover designed by the tattoo artist Massimo Leonardi. The waves lull and push the listener much farther than we would have believed. Enjoy your surfing. “The trees that this time become woods symbolize a dense cluster of memories and thoughts, those behind the idea of the new record. Trees are also a way to ideally connect a common path to all my latest works”. 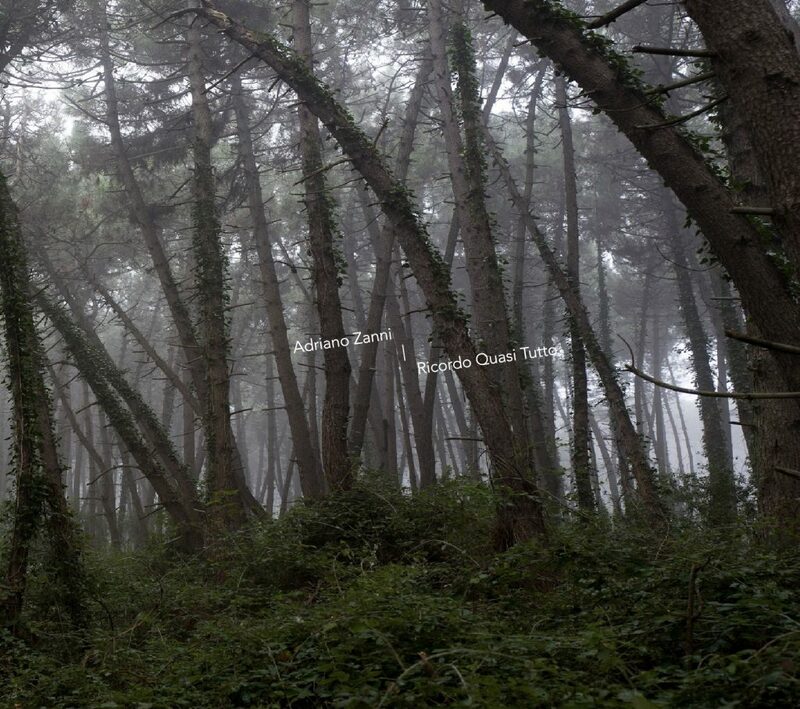 The trees mentioned by Adriano Zanni, sound artist and esteemed photographer of the Romagna landscapes, are those portrayed in the cover pic of his new album, Ricordo quasi tutto. Previously active with the moniker Punck (from 2002 to 2008 in which came out Piallassa, a homage to Michelangelo Antonioni’s Red Desert), after being involved in some improvisational ensembles and after almost a decade of silence, Zanni undertook a more personal direction releasing with his own name, in 2017, the 7” Falling Apart, the tape Soundtrack For Falling Trees – out for Bronson Recordings and accompanied by a self-produced photo book, soon printed in collaboration with the same Bronson Recordings and Boring Machines – and the LP Disappearing, followed in December 2018 by Siamo quasi tenebra, inspired by Iceland and Jón Kalman Stefánsson’s book Heaven and Hell. He went through electro-acoustic and ambient music. It’s said the he “sounds the landscape”, but in Ricordo quasi tutto all the field recordings are not only a documentation but also a sound memory. Zanni does everything on his own, playing field recordings, analog ad digital instruments. “The album was recorded in the summer of 2018, when I was facing health problems that forced me to an isolation. 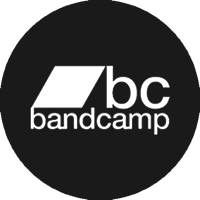 The memories, to which I had access thanks to field recordings captured in the last four or five years, were a sort of escape and a return to life. There are happy moments: simple walks on the beach, bonfires, summer thunderstorms or images of the little Linosa island where the young boys of the church band tried to play The Final Countdown for the village party. Or there are less happy memories, like those connected to the cars that cross the highway between Ravenna and Bologna, which I have traveled several times a week to go to the hospital”. The heart of the tracklist, consisting of seven tracks (the eighth is a ghost track), is probably represented by Onde sinusoidali, esplosioni e inutili ricordi:“During the hospitalization I had brought a small synth OP1 and my headphones, so I manipuleted sine waves creating various presets for the tracks that I have later completed. The isolation for the recordings of the album happened instead in my house by the sea, in Marina Romea: one night, on the beach, I recorded the fireworks. In my childhood fireworks took traditionally place August 15th in Marina di Ravenna and symbolized the end of the summer, a real watershed”. This is an advice: listen to the sounds.